Back at last ! 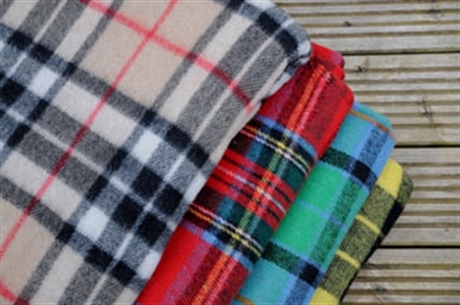 The great, mult-purpose Travel rug in a selection of 33 tartans. Wool rich, hardy and full-sized at 75 inches x 60 inches. Selling fast.